The aroma from these incense sticks stimulates the senses, nourishes the spirit, comforts the mind and integrates the emotions. Made in Nepal by Bhutanese refugees. 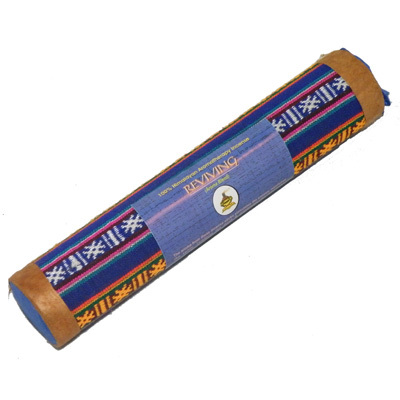 Wrapped in Bhutanese cloth in a cardboard tube. Contents: 37 x 22 cm long sticks. Approx burning time: 60 mins.